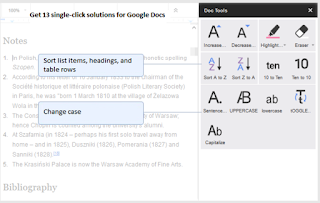 Editing a Google document can sometimes be a cumbersome task given the limited editing options embedded in Docs editor. The add-ons we are sharing with you today will help you overcome this structural limitation. 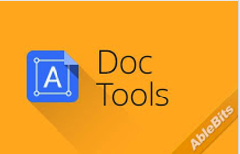 They will provide you with a collection of useful features to help you with the editing of your documents. For instance, you can use them to quickly change the case of the text, capitalize first letters, increase/decrease font, sort and arrange tables, capitalize first letters, change numbers to text and many more. 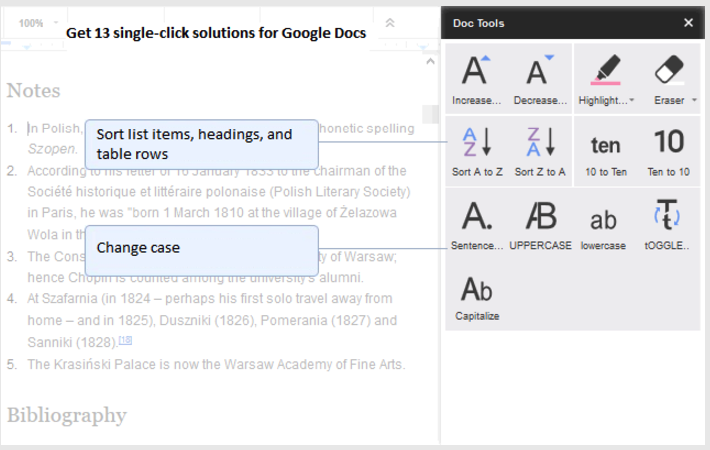 This is another handy add-on that enables you to make quick changes to the case of text in block selections. You can select a text and with one click change all characters to uppercase or lowercase. You can also capitalize only first letters or invert the case of each character. 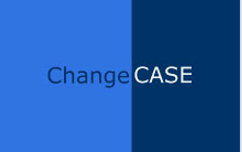 This add-on also supports sentence case capitalization and title case capitalization.